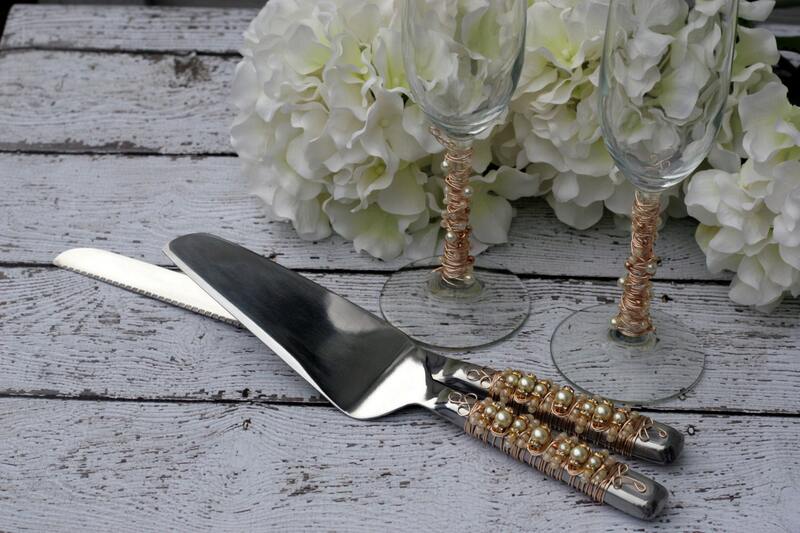 Inspired by couture style and chic designs, this glamorous ivory pearl beaded wire wrapped wedding cake serving set and toasting flutes will glamourize your special event! Great gift for the unique, chic and classy bride-to-be. This is a MADE TO ORDER ITEM. Bead placement will vary slightly. I use a non-tarnishing gold wire and ivory pearl glass beads. Measures approx. Cake knife: 14" and server is approx. 11"